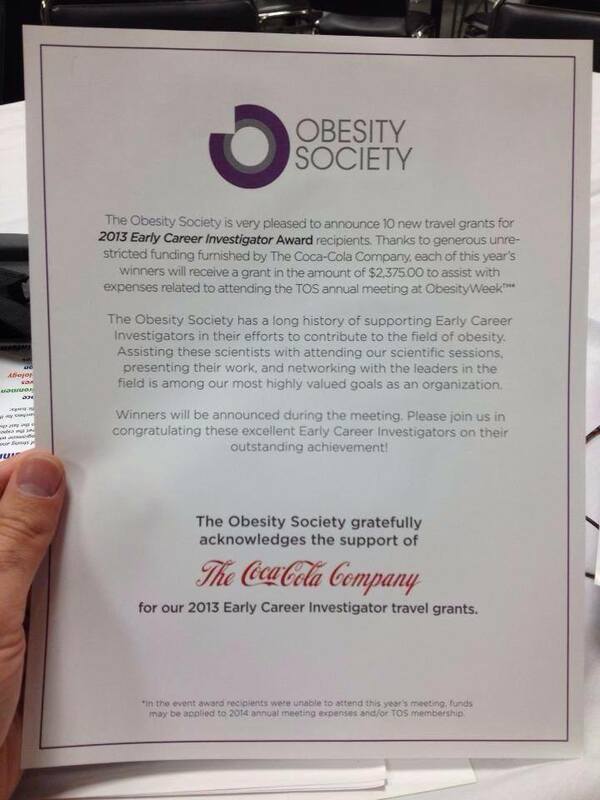 The Obesity Society Thanks… Coca-Cola? Dietitians for Professional Integrity supporter and friend Dr. Garth Davis of Houston, TX is at an Obesity Society conference today. Look who “supports” it. This is a systemic issue that needs to be addressed. It certainly would be great if the Academy pioneered the change toward a dissolution of ties with Big Food and Big Soda.